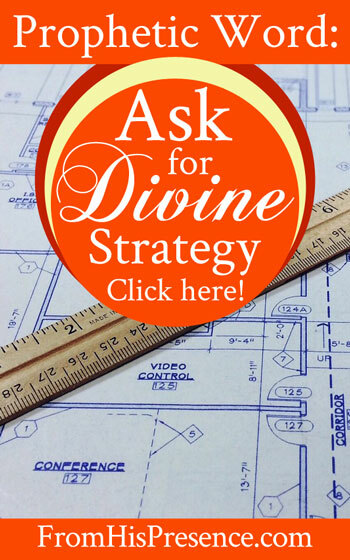 Beloveds, God’s divine strategy has been on my heart big-time. I wanted to send you several things to be aware of in this prophetic season as we approach Jewish Year 5777 (and really, they’ve valid for anytime, but especially for now). Daniel answered and said: ‘Blessed be the name of God forever and ever, for wisdom and might are His. And He changes the times and the seasons; He removes kings and raises up kings; He gives wisdom to the wise and knowledge to those who have understanding. “Wisdom, among other things, is the ability to devise perfect ends and to achieve those ends by the most perfect means. It sees the end from the beginning, so there can be no need to guess or conjecture. Wisdom sees everything in focus, each in proper relation to all, and is thus able to work toward predestined goals with flawless precision” (page 43). Today’s post is not intended to be a treatise on wisdom; that’s a study for a different day. But it IS intended to be a prophetic word for us right now, because the need for WISDOM is at the center of what God is doing in your life and mine right now. Here’s the prophetic bulletin: Strategy is vitally important, and God is ready to give you His divine strategy. One of the primary reasons John Wesley, one of the great revivalists of the First Great Awakening, was so successful was not just because God anointed him to preach, but because he was a brilliant strategist. He put strategies in place that built the Church and discipled congregations, and the impact of his strategies can still be seen today. And the big-picture end result, which will keep you fired up. Pray for Him to build bridges between you, the people you know, and the people you need to know. Ask Him to show you the connection between where you are and where you need to go. Ask Him to redeem all things AND SKILLS from your past and work them for your good right now. Pray for favor with people. Does this message speak to your spirit today? If so, please leave a comment below! I love hearing from you! THIS FOR ME this morning! It speaks to me,so loud,this is what im asking to Him since the beginning of this year,im at a momt in my life where i don’t know what to do,where to go,where to start,its like all i thought seems not to be what He has planned for me,so i desperately need his wisdom,his direction,to see what he wants me to do,where he wants me to go.. 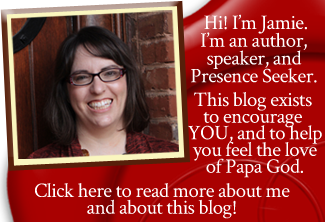 I enjoyed your post today, think you for sharing what Papa God has shared with you. Thank you so much for reading, Shirley! I pray Papa would download to you His strategies this day for everything you face, including those strategies that will take you to wonderful places you never dreamed of before! 🙂 In Jesus’ name! Hi Jamie, thank you for helping me to articulate my prayers and to pray stategically. You’re a great blessing to me. One day soon, I will become a partner with your ministry. I believe in what you do. What a perfect “right now” word from the Lord for His people. Thank you for sharing; I’m so grateful. I’m joining you & praying those specifics things over everyone reading this post, & you & I, in Jesus name! Thank you for obeying the Holy Spirit by being His vessel to get this message to me .THIS IS MY PRAYER NOW. In Jesus name, we believe that wisdom is loosed upon us, and we believe by faith that You, Father, lead us in Your secret paths; to reveal the deep and hidden things; and for divine connections to happen in Your time & for Your purpose. In Christ Jesus’s powerful name, we believe that You’re building bridges between us & the people we know, and the people we need to know. In Jesus name, by faith, we believe Your power is loosed over us, to show us the connection between where we currently reside, and where we need to go. In Jesus name, we believe by faith & we speak forth our beliefs by declaring that You alone redeem all things AND all SKILLS from our past…You’re working them for our good right now. In Jesus name, we believe by faith and declare in Your mighty power, that favor with people, rests upon us for Your purposes, glory, honor, & praises!!!! Amen!